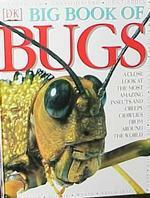 Books are a great way to see insects up close and study their amazing variety. Currently featured books are here; to see others, go to the Archives. 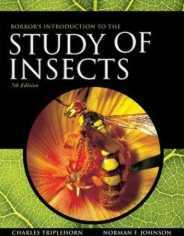 A classic textbook is Borror and DeLong's Introduction to the Study of Insects. See it here. Too serious? Be amazed by the closeup views in this book that introduces children to the marvels of the insect world. The newest addition to DK's Big Book of series is the Big Book of Bugs - an up-close and personal book for young entomologists and all curious kids who are fascinated with bugs. Look right into a spider's eye and get tangled in its web! Marvel at the stunning pictures of teeny tiny creepy crawlies blown up to extraordinary sizes. Engaging annotations provide buggy facts and figures. Larger than life photographs of creepy crawlies include locusts, caterpillars, beetles, flies, grasshoppers, ants, praying mantis, and more! Read more here.